Join our email list to receive powerful new conversion stories by email and download your free eBook from the Coming Home Network. 30+ Conversion Stories of Protestant Clergy and Lay People Who Have Come Home to the Catholic Church. Journeys Home and Journeys Home 2 contain the stories of men and women who, having surrendered their lives to Jesus Christ, heard a call to follow Him somewhere they never expected: the Catholic Church. Many of them were pastors or missionaries. Others were lay men and women who, though working in secular jobs, took their calling to serve Christ in the world very seriously. In each case, their desire to follow Christ faithfully, to remain faithful to the truth He taught and to the Church He established through His apostles, led them to embrace the Catholic Church. 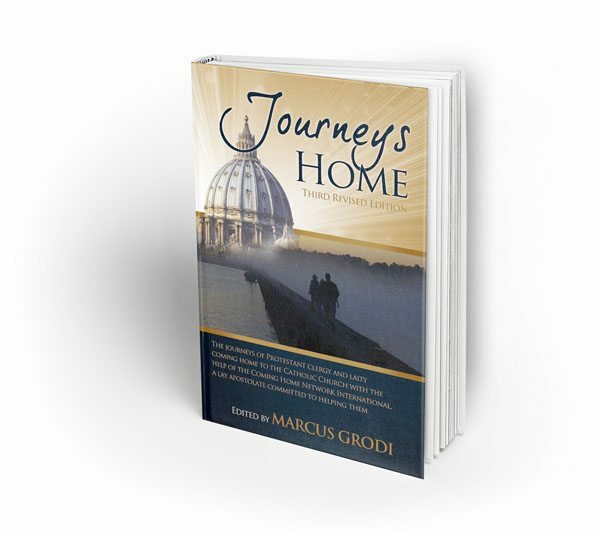 Journeys Home 1 & 2 are available for purchase in softcover and eBook formats on our CHNetwork online store.